In Florida, the fall season means something very different than in other areas of the country. For us, it means a break from the relentless heat and an opportunity to fall in love with being outside among the plants and flowers. This time of year also means special care for your landscape. Here at Doty Farm and Garden Supply, Inc., we are dedicated to helping your lawns, trees, and plants get the necessary protection needed for the change. Fertilize trees: Shade trees, woody shrubs, and fruit trees must have a great balance of fertilizer that contains minor elements. This will keep your plants ready-to-go come spring time. Plant your winter vegetable gardens and annuals: Prepare beds properly (peat, manure, and bone meal) and feed lightly, but frequently. Either spray or dust every week or so with a combination of insecticides and fungicides. Fertilize lawns: Your lawns need strong root systems so, come spring time, they can take off and be beautiful. Keep a watchful eye out for chinch bugs, worms, fungus, or mole crickets as they can do damage to your lawn. Be proactive and use turf fungicides and Turf Ranger or Bifenthrin to prevent fungus and bugs. Use these helpful hints as your guide and you’ll ensure that the job of protecting your valuable plants, lawns, and trees is done right the first time. 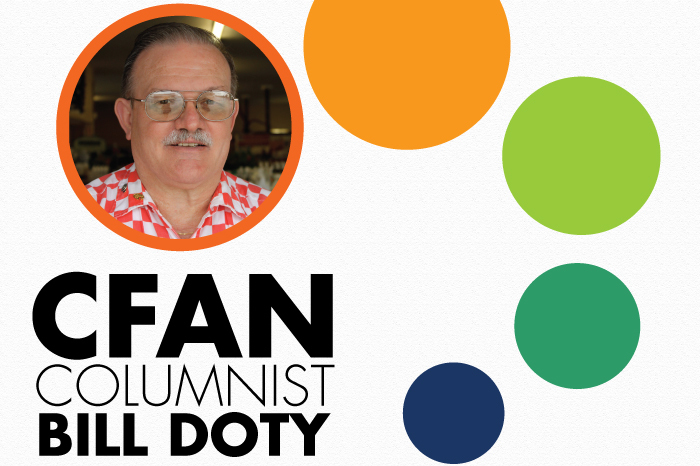 This column is sponsored by Doty Farm and Garden Supply, Inc.
BIO: William R. “Bill” Doty is owner of Doty Farm and Garden Supply Inc., founded in Winter Haven in 1954. Bill graduated from Winter Haven High School and Florida State University. Growing up, he learned valuable lessons in listening and asking questions and was a student of the family business. Bill shares his knowledge with his customers daily and with our readers monthly.